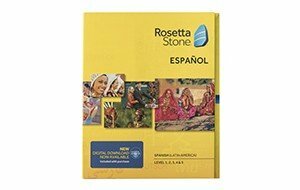 Rosetta Stone Reviews - Why It Doesn't Work. Rosetta Stone is the best-known company in foreign language learning. So maybe you are wondering how well it has worked for others and if it would work well for you. Sadly, Rosetta Stone Spanish rarely works. You probably won’t learn much with Rosetta Stone. That’s because a big portion of their program teaches you separate words without their context and without context, words don’t have meaning. To understand why this is true, imagine being a foreigner trying to learn English. If you learn just two phrases, “What’s your name?” and “My name is …” and you know how to use them, well you know a little bit of English. You know two useful things! But if you learned all six words separately and what they meant, but didn’t know how to put them together and use them, then you don’t know any English. Without context, words are just funny sounds. I’ve traveled the world and talked with thousands of language learners. I wish that wasn’t true because the people who work at Rosetta Stone are a talented bunch. Hopefully they will eventually develop language-learning programs that really work. What Works Better Than Rosetta Stone? Three companies offer programs that work much better than Rosetta Stone. For beginning language learners we recommend that you try a free practical lesson right now, by clicking below on the language you want to learn. Then—on the next page, not here—click the big red “Try It” button. If you don’t see the language you want to learn, we recommend Pimsleur for beginners. For languages we don’t have, we recommend Yabla for intermediate to advanced learners. If you are learning Japanese, you will want to read our Rosetta Stone Japanese review. 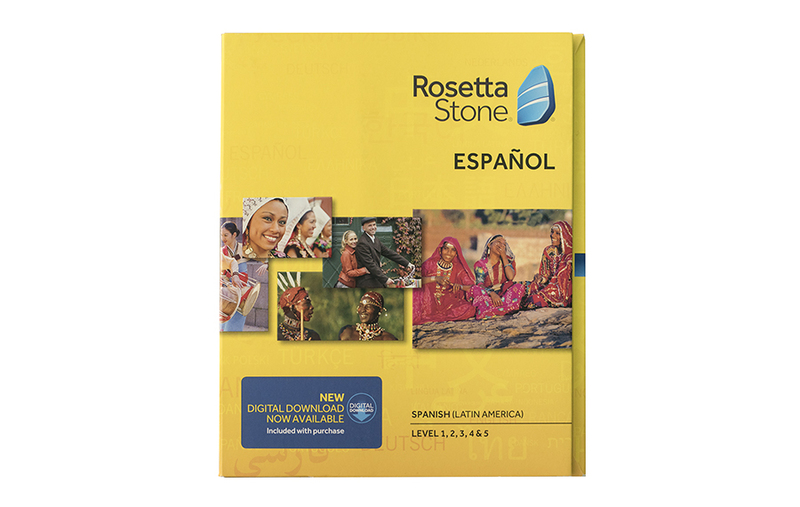 The detailed Rosetta Stone review starts below. Rosetta Stone used to claim that you could learn a foreign language the same way a child would if you just bought their program. The company faced a lot of well-deserved criticism for this claim. So they changed their ads—just a little. Adults learn differently than children do because their brains are different. It’s the same claim, and it’s still wrong. 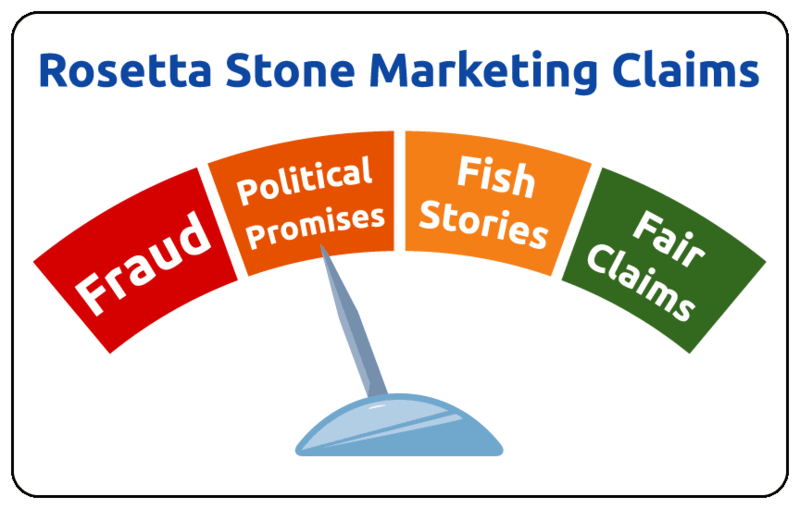 To understand why Rosetta Stone’s claim is 100 percent wrong, and not simply an advertising exaggeration, you need to know the difference between the brain of an adult and the brain of a newborn baby. From the age of one month to three months, a baby will respond to all the language sounds (called phonemes) that he or she hears. Any child can learn any language that he or she hears. 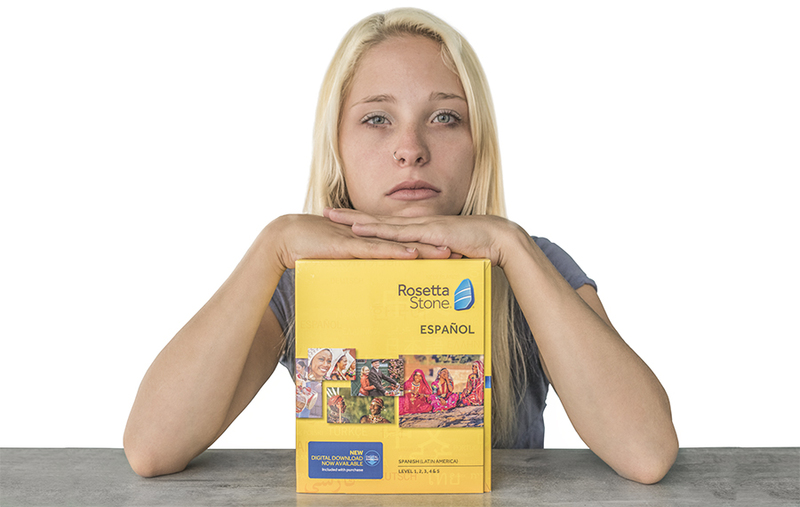 Adults trying to learn Spanish with Rosetta Stone will not hear all the Spanish phonemes. But by age 1, the baby’s brain has already built special neural processing circuits for their first language. The baby will no longer perceive phonemes that are not in his or her native language. What does that mean for you? 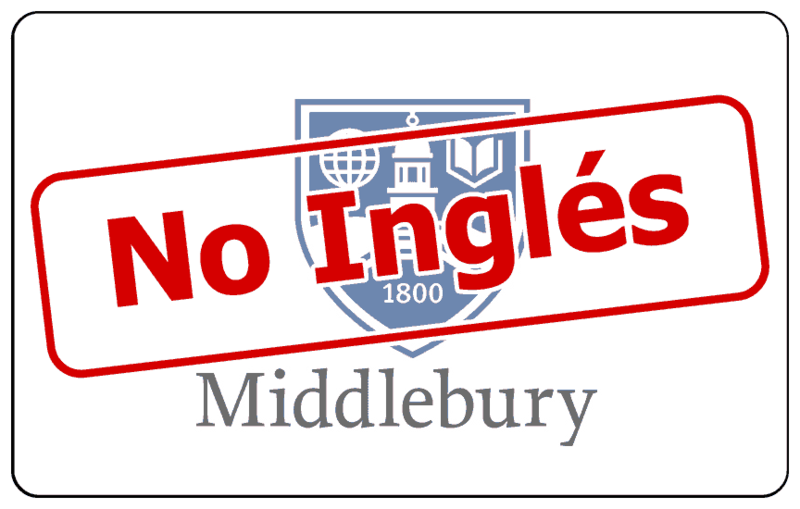 As an adult learner of Spanish, for example, you will not even hear phonemes that are not in a language you already know well. In this review I am paraphrasing from a lecture by Stanford biology professor Robert Sapolsky. I recommend that you watch at least five minutes of this lecture to see what I am talking about. The Biology of Language Learning by Robert Sapolsky. You cannot learn a new language as an adult the way you learned your first language as a child. That’s a fact. Your adult brain is different than a child’s brain! Sadly, Rosetta Stone rarely works. Have you ever seen a toddler point at a dog and say, “Look, Mommy, a cat!” Children do a lot of guessing when they learn a new language. It also takes children several years to learn their first language. They waste a lot of time doing this, even though they usually have two full-time, live-in language tutors called parents. You’ve already learned English, so you shouldn’t have to start learning your next language by guessing and making all of your childhood mistakes over again. 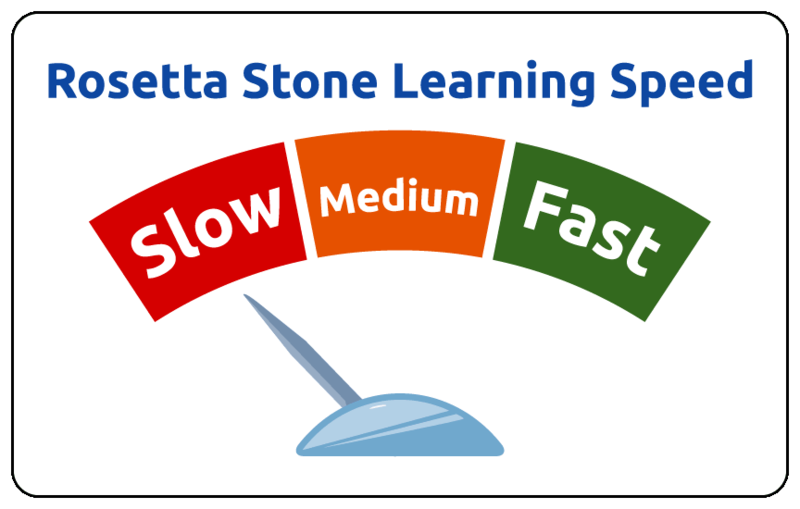 If you copy the learning methods of small children (as Rosetta Stone suggests you do), you will waste a lot of your time. Adults (and children old enough to read) don’t need to guess what foreign words and phrases mean. They can use translations to understand the meaning the first time, without guessing. 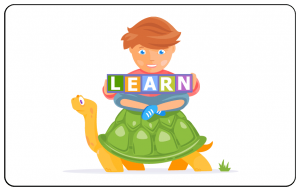 Children learn slowly and much differently than adults do. You might reasonably ask, “Does Rosetta Stone work for children?” Sadly, the answer is also no. It doesn’t work for children for a different reason. Rosetta Stone’s format of using pictures that you match to foreign words makes it very easy for children (and, in fact, for anyone) to remember the picture and get the answer right but without really knowing the foreign word or phrase. If you have ever remembered a person’s face but couldn’t remember their name, you know what I’m talking about. 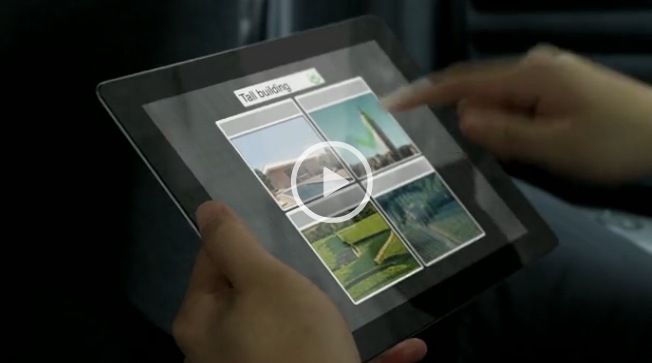 Rosetta Stone’s program design makes it easy to “cheat” and get the right answer without really knowing it. Children are especially prone to doing this. 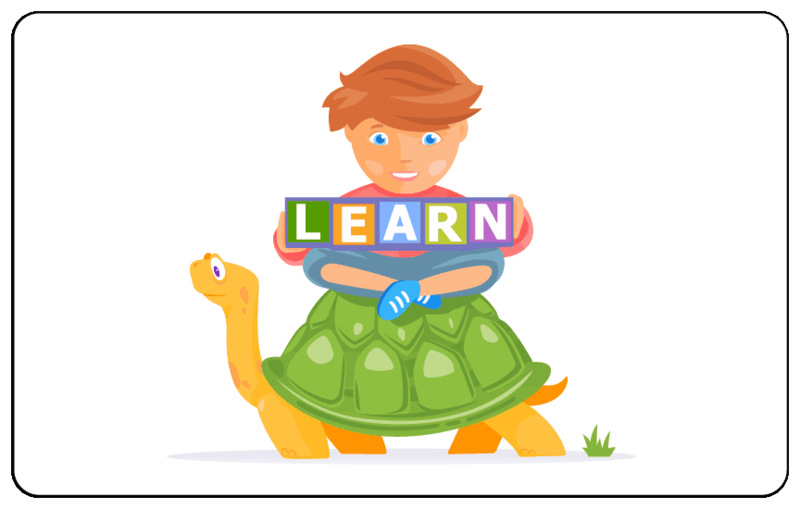 The interesting pictures actually slow down a child’s learning. Q: If you call a sheep’s tail a leg, how many legs does a sheep have? A: Four. Calling a tail a leg doesn’t make it a leg. You see, it doesn’t matter what you call something. Things are what they are, regardless of what you call them. Rosetta Stone says that its program is “Interactive Language Immersion.” But unfortunately, that’s just a slogan. You can’t sell language immersion in a yellow box. 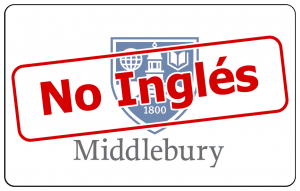 If you study Spanish at Middlebury College, you won’t speak English. using a computer program for an hour a day. You can also create a language immersion program for yourself by going to live and work in a foreign country. Anything short of that is not immersion. Sorry, Rosetta Stone, your program is not immersion. Do beginners really need to learn the words for “tall building?” Probably not! The next step in Rosetta Stone takes you to phrases that are not especially useful. For example, in the Rosetta Stone Russian program, there is a picture of a boy lying face down in a park with a soccer ball balancing on his back. Rosetta Stone does offer some practical phrases like “What’s your name?” The problem is that they show up after a long time of using the program. Sadly, many people will quit before they ever reach the practical phrases they should have learned on their very first day. If you do try to learn with Rosetta Stone, don’t give up before you’ve gotten through the boring list of vocabulary words you will have to start with. Is It Possible to Be Worse Than Useless? A “worse than useless” program not only fails to teach you anything useful, it also convinces you that you have no talent for language learning. Rosetta Stone has added an online school to their offerings. So while the software itself has arguably gotten worse over the years (you now have only two images to choose from instead of four), signing up for their online school might help you, especially if you like the teacher and find the human interaction to be motivating. 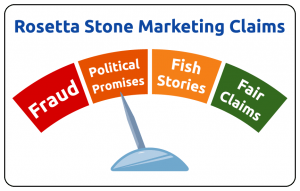 In 2017, Rosetta Stone shifted their emphasis from selling boxes with software (or boxes containing a certificate for a digital download) to selling online subscriptions where you pay for a certain number of months of use. Their Black Friday 2017 headline offered a $7.00 per month price or $168 for 24 months of use. If you visit their site and are offered a much higher price, just sign up for one of their newsletters and you soon will be offered a lower price. I don’t like writing about Rosetta Stone’s lack of progress. I would have much preferred to write, “The software is getting better.” But sadly, it seems that it’s not. The people who work at Rosetta Stone are decent human beings. I’m sure they would throw me a life preserver if I were drowning or buy me lunch if I were hungry. The company’s marketing people are both decent human beings and geniuses. It’s time for Rosetta Stone to hire some educational software geniuses to work with the marketing geniuses in developing new products. If that were to happen, it would be a winning combination. Should Anyone Use Rosetta Stone? You can keep your enthusiasm for foreign language learning and then go on to another program if Rosetta Stone doesn’t work for you. Your only other language-study tools are books. For example, if you are learning Spanish, we still think that Rosetta Stone Spanish is slightly better than trying to learn Spanish with only a textbook. You don’t mind if your study program makes you wait to learn practical phrases near the end of the course instead of at the beginning. What’s a Better Way to Learn Your Next Language? Language101.com is quite a bit more effective than Rosetta Stone. But please don’t believe us just because we say so. Try our free lesson by clicking on the link below. Please also try the Rosetta Stone free lesson. Then buy the program—do it today—from which you can remember more after 30 minutes. 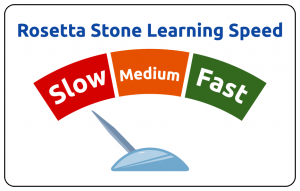 Our customers tell us that they can remember much more for several days after they studied when they use our program, compared to Rosetta Stone. What if I Want to Learn a Language You Don’t Offer? We have written a lot of articles on how to learn any language. These articles will help you learn your new language faster, no matter which program you buy. We also strongly recommend Pimsleur if we don’t offer your language. No, this is not an affiliate link, and, no, we don’t get any money from Pimsleur for saying it. But we like Pimsleur, and you may too. It does work, especially for going from knowing nothing to being minimally conversant. Do You Use Facebook or Have a Blog? If you found this article helpful, please copy and paste the link below into Facebook. This critique is based on using Rosetta Stone Spanish 1, 2, and 3 in 2016. Sadly, not much has changed since we first tried it in in 2006. We know your time is valuable. Thank you for reading our Rosetta Stone reviews. I really do like the people who work at Rosetta Stone. They are a smart and talented bunch. I wrote this review in part to inspire Rosetta Stone to the greatness that the company is capable of. Someday they may develop software that really works. Fortunately, in response to this review and others, they no longer advertise that adults can learn like a child with their software. I commend them for that. But they haven’t significantly changed the software. It still doesn’t work for most people. Of course, I also wrote this review for the thousands of people who have tried to learn a language with Rosetta Stone and failed. If you are one of those people, I want you to know that your failure is not your fault. The methods you were told to use just don’t work. In fact, you might even be a language-learning genius and not know it yet.